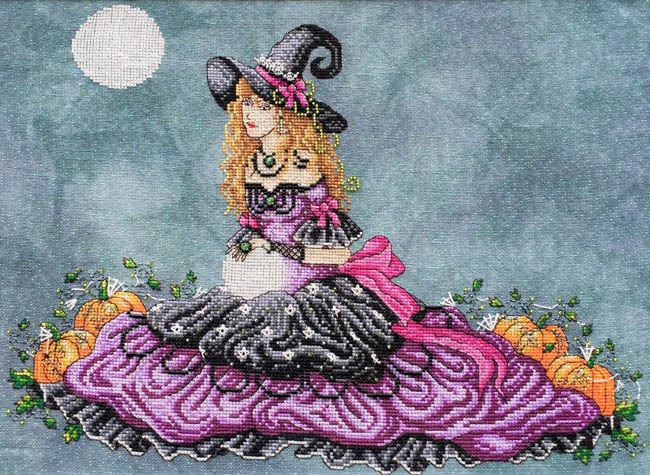 Beautiful Halloween Witch sitting on ground under the moon with her crystal ball. Count: 204 x 152. Stitched on 14 count fabric. Calls for DMC thread, Mill Hill Beads and Kreinik black thread.